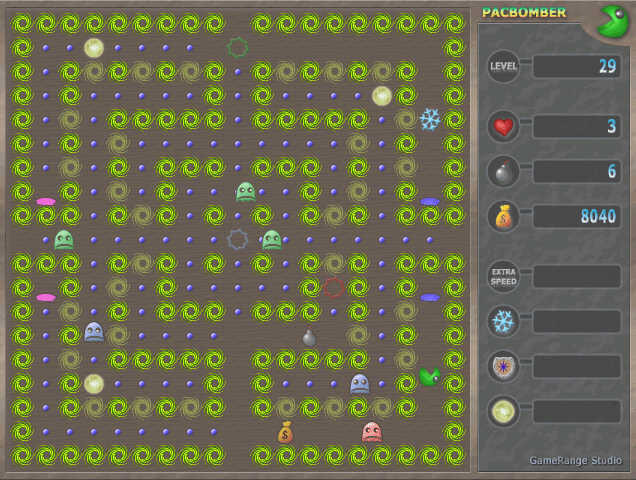 PacBomber is a modern remake of classic arcade games PacMan and BomberMan. The objective of the game is simple but certainly not easy. 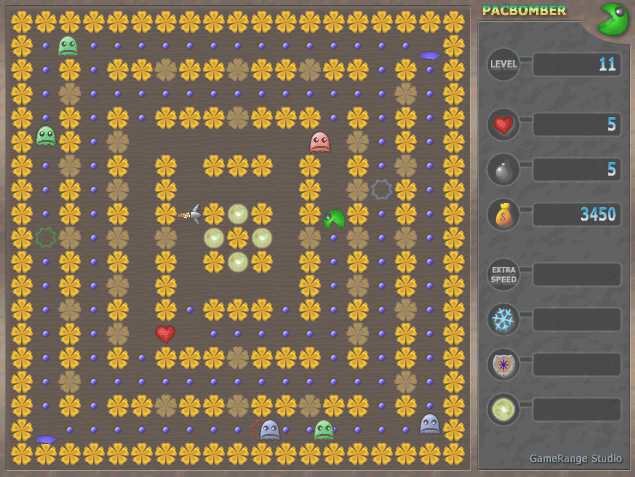 You have to clear each level of all dots while avoiding hazardous encounters with evil the monsters. 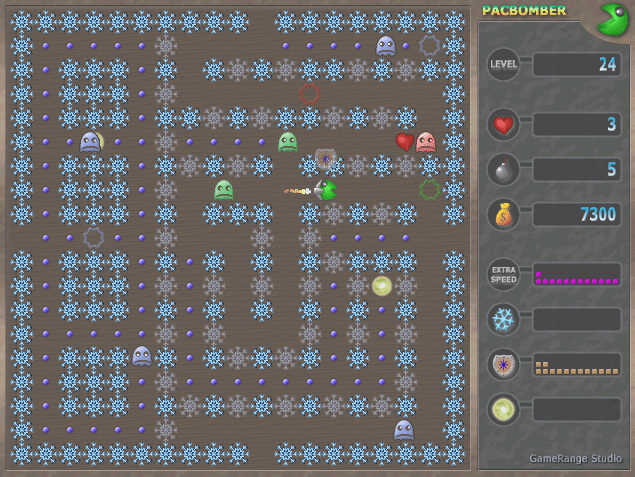 Once the level is cleared of all dots, you proceed to the next one. While playing, you will be able to collect different bonuses that will help you to survive in the dangerous labyrinths filled with blood-thirsty creatures. Retro game lovers will surely appreciate this game for its fun graphics and sounds. Now is your chance to make up for all the times when your parents did not let you play! The "Unregistered version" text disappears. Cheat codes: ExtraLife, ExtraBomb, Rocket, Shield, SnowFlake.